Conflicts, between parent/child, peers and siblings, are a daily occurrence. These disagreements are a natural part of the human experience. Finding a consistently peaceful way to resolve them is no easy task, especially for younger children. As parents, we find ourselves jumping into the fray with our kids, trying to force a conversation, insist on a solution, and fix the problem. This may work in the moment, but we know for long-term results what we should do is give them the tools to resolve conflicts on their own. In a Montessori classroom children are given several tools to help them deal with personal conflicts. One of these tools is a Montessori Peace Table. Sometimes a Peace Table is used in a Montessori classroom to allow a child to have a short period of silence on their own. A Peace Table can also be used by the children to encourage conflict resolution through peaceful and respectful communication. When used for conflict resolution, it encourages children to talk about what’s on their mind and gives them a specific place and method to achieve an agreeable solution. Even better, setting up a Peace Table is something that can be done at home without too much effort. With the guidance and wisdom of our daughter’s Montessori teacher, we have some suggestions on how to effectively use a Peace Table at home. It is simple to do and is fairly inexpensive. First thing you need is a table and two chairs. These should be child-sized. Like all Montessori-inspired materials, the table should be beautiful, either as a result of its craftsmanship or by the addition of a lovely tablecloth. The arrangement should be dainty, inviting, and comfortable. The table should have a small vase with fresh flowers or a live potted plant. The beauty of the table commands respect and identifies it as something special. We purchased this set at IKEA. Although there are other more lovely and more expensive options, the modern lines of the IKEA version set go well with our decor and the price, at $20, cannot be beat. We purchased a lace cloth to set on the top. The table also needs a timer. 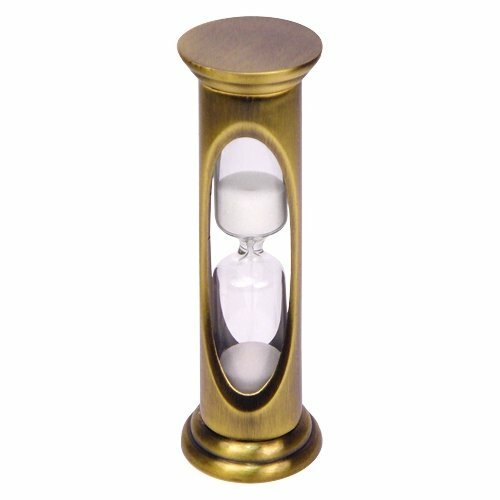 This should be a three-minute sand timer. Something like this one. Ideally the timer is made with glass rather than plastic. The table also needs an Instrument of Peace. This could be a flower, or a delicate object, or other item that can fit in the hand of a child. We ended up using a smooth river stone that we placed into a velvet jewelry box. Because of the small velvet box, the kids treat the stone as if it were a jewel. You could also get something like this or this. Because our youngest child is only three and is comforted by rubbing his fingers on objects (tags, edge of a blanket, etc), I also purchased a set of Tibetan worry beads. The beads will assist him in self-soothing, both during quiet time and during conflict resolution at the Peace Table. The beads are not necessary. However, you may think of something similar that could help your own children achieve a calm and peaceful state of mind. The table should be placed in a quiet area of the house, away from activity. Often the Peace Table is located near a window to allow for quiet reflection and for a connection to the outside. The table should only be used for conflict resolution or peaceful alone time. The table should not be used as a “time-out” table (or an art table, or a snack table, etc). After they become familiar with the Peace Table and how to use it properly, the children must choose to use it on their own, rather than be forced to use it. 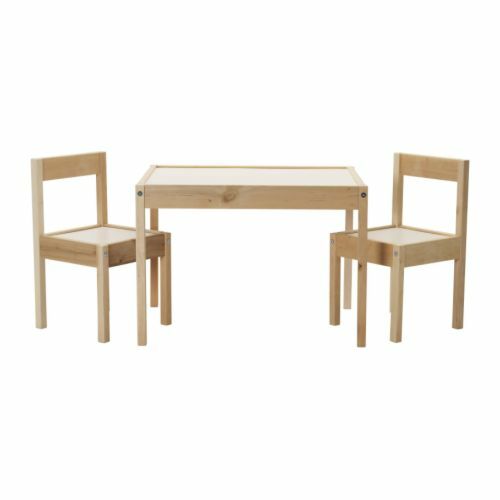 At the beginning, you may need to gently suggest to your children to use the Peace Table to help them resolve a particular conflict. After a while, the children will use it on their own without any adult direction. We decided to put the Peace Table in our great room, near the kitchen, but outside of the line of sight. This gives our kids some privacy from adult eyes, but allows us to monitor the tone of the conversation. You could experiment with a few spots in your house until you find something that works for your children. Have the child sit, and turn over the timer. After three minutes, other children may have a turn sitting alone with the timer. Watching the timer promotes a period of extended calmness. Once they’ve had a chance to get familiar with the table and the timer, you can introduce the next lesson. This can happen right away if your children are showing an interest. 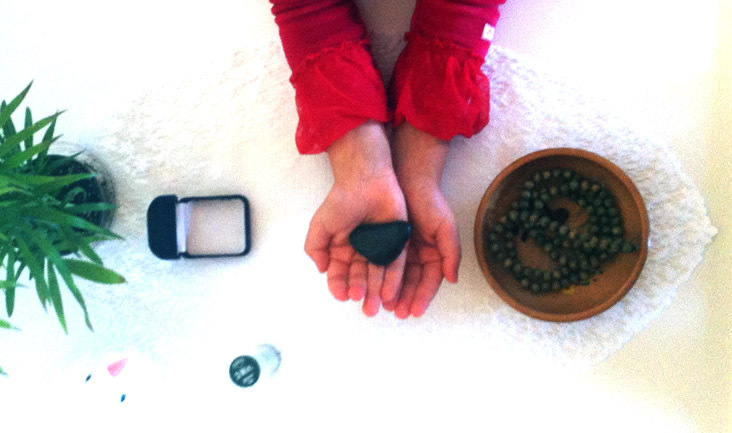 You can now place the Instrument of Peace and any other objects of peacefulness on the table. Our kids couldn’t wait to touch the new objects and to learn how to use them. We launched right into the next lesson: How to use the Peace Table with others. Again, you can improvise in order to best explain this to your child/ren depending on their age/s. It’s important to show the children how to use “I feel” descriptions to describe why they’re upset. We found that a demonstration of a few examples were helpful for them. We did a role-play with each child, pretending to take away toy and then acted out yelling in response. This happens fairly regularly in our home, making it a perfect example for our kids to role-play. Feel free to substitute a situation that is common in your own family. A third-party may be required to help resolve the conflict. This is acceptable, but only the people involved in the dispute are involved in the resolution. A parent may be asked to mediate, but other people, siblings, or friends not directly involved in the situation should not be present. Younger children often have a hard time getting their thoughts out quickly and disputes during play time can quickly escalate to screaming or physicality. The Peace Table slows things down. It empowers them, gives them a place and the extra time they need to get their words out, and gives them the satisfaction of knowing that they are being heard. Our children have been very receptive of the idea of using the Peace Table to resolve their disputes. These days, if we hear things escalating and it doesn’t seem like they’re going to work things out on their own, we mention to the kids that they might consider using the Peace Table to find a solution. We don’t force it. We merely suggest it. The children respond with a resounding “Yeah!” and rush to invite one another to sit down. They quickly calm themselves, share their feelings in slow and quiet voices, and come to an agreeable resolution. Usually our older child arrives at a solution first, but the suggestions have been very fair. Once they agree, they announce that they’ve “worked it out” and return to playing as they agreed. We haven’t had the opportunity yet to use with friends, but I imagine that it would work just as well. I would venture to guess that for a play date it would work best with friends who are at least 4 years of age or older. So far, the Peace Table has been a helpful tool in our home. Although our kids are not yet using it on their own on a regular basis, they have used it with success. We will keep suggesting it to them when they are having a dispute and look forward to the day when they seek it out on their own. 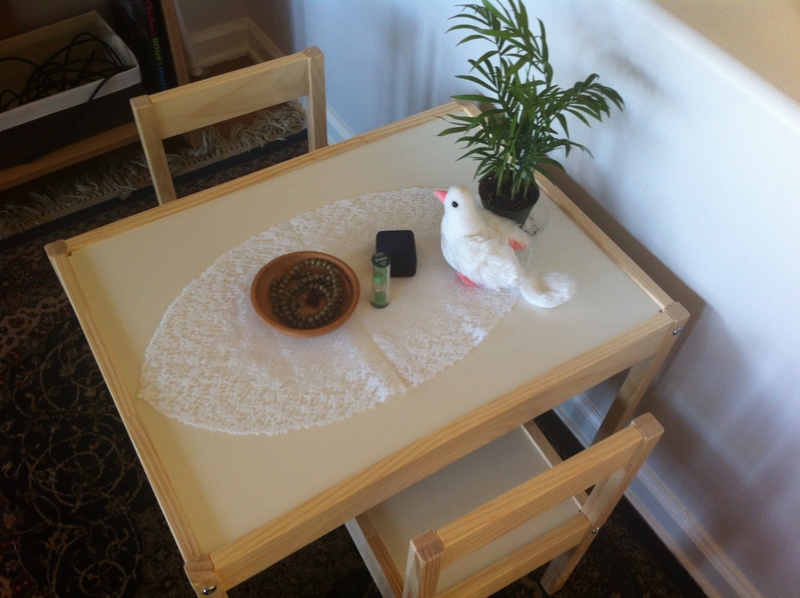 I think the Peace Table is lovely way to allow children to practice a period of calmness. In our home it enables our children to identify their feelings and address them in a quiet, neutral place without involving a grown-up. I love the idea of encouraging children to share what’s on their mind and work through disputes to a mutually agreeable resolution. This skill will certainly serve them well throughout their lifetime.